Currently I’m working on a new design of kokblog. I’m planning to launch the new design next week. In this process I have decided to turn some of my pages into posts. And one of them is my diagram on how to make a Sourdough Starter. 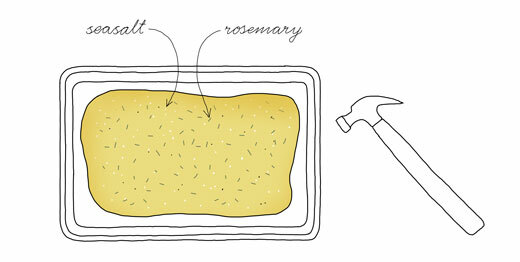 Description: The above diagram is just one way to start a sourdough starter. At the end you will have one rye and one wheat starter. I use either starter for most of my breads. The wheat starter can also be used in a sweeter dough like for e.g. Cinnamon Buns etc. I bake with my starters 1-2 times a week (sometimes even more). I keep them in my fridge and take either of them out one or two days before I want to bake. Depending on how long it has been without ”food”, I feed it once or twice with a few tablespoons of flour and a little water. I keep my starters small, in that way I always have just enough and there is no need to discard anything. I have kept a starter in the fridge (without feeding it) for up to 3 weeks (not recommended). You can also freeze the starter if you are not planning to bake for a longer time. Just give the starter some time to recover by feeding it once or twice every day for a couple of days before baking. When the starter is lively and full of bubbles it’s ready to bake with. 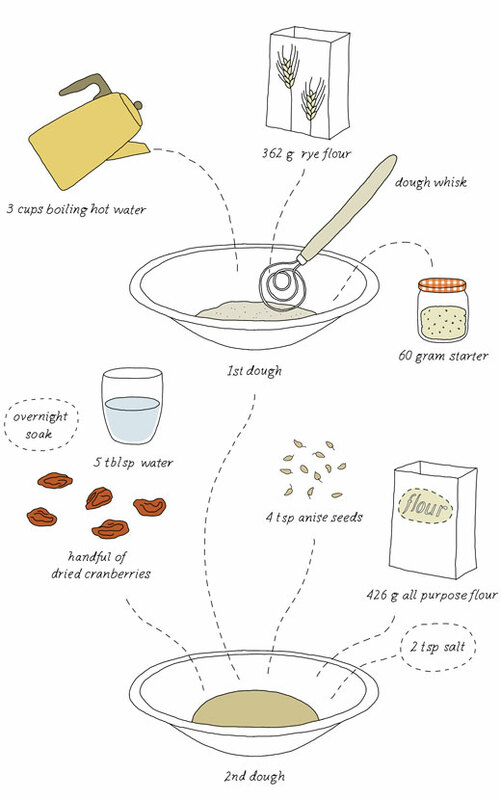 My diagram is based on Iban Yarza‘s How to Make a sourdough starter video. NOTE: Since I published this last year, I have discarded my rye starter (I simple baked it up). It was just easier to keep one. If I ever want to use a rye starter I feed one part of my all-purpose starter with just rye flour for a couple of days. Another cookbook that’s become one of my favorites is Di Bruno Bros. House of Cheese: A Guide to Wedges, Recipes, and Pairings by Tenaya Darlington, aka Madame Fromage (Running Press, 2013). I have mentioned the book here several times but I think the book is worth it’s own post. First of all the book is not just a cookbook it’s an introductions to 170 different cheeses. The book is a collaboration with Di Bruno Bros., a well known cheese shop in Philadelphia. In the book Tenaya simply tells stories around the selected cheeses, includes several ideas and tips on how to serve, what to drink and pair them with. Tenaya also teaches you how to buy a cheese and how to talk to a cheesemonger. The main purpose of the book is to help the reader find the cheese of their dreams. Unfortunately I want them all! I’m so looking forward to her next book, which is a cocktail collaboration with her brother André Darlington. When ever I read something by Tenaya, the book or something on her website I end up hungry with a big smile on my face. Tenaya has loads of humor. Chapters as Baby Faces, Stinkers and Pierced Punks is just a few examples of her excellent wittiness! As you know, I like to bake, so after receiving the book last Spring I almost immediately baked Tenaya’s Semolina Crackers (that are adapted from Heidi Swanson‘s recipe). I like the way Tenaya bakes them, just simply rolled out on a baking sheet, baked, cooled and then “cracked” with your hands before serving. You can also roll them out with a pasta machine, like I suggest here below. I have halved the recipe and changed the method slightly, otherwise it’s pretty much the same as in the book. 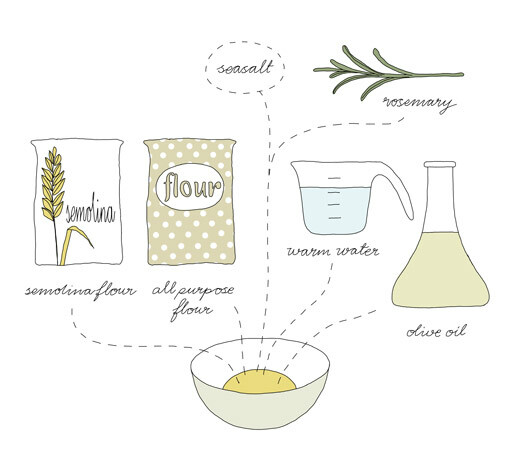 Mix together the water and the olive oil in a large bowl before adding the flours, sea salt and chopped rosemary. Work together well with a wooden spoon or spatula. Transfer the dough to a floured flat surface and knead for about 5 minutes. The dough should feel smooth and not sticky. Shape the dough into a ball. Place in an olive oil greased bowl. Let the dough rest in the fridge for one hour. Cut out small pieces (size depends on how long crackers you want) and flatten them out slightly with your hands. 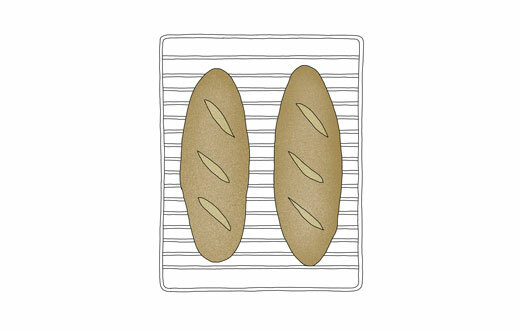 Roll them out about 2″ wide with a rolling pin or pasta machine. Roll them out as thin as you can and desire. (I roll them out to level 5 in the pasta machine which is less than 1/8 inch thickness). Dust with more flour if the dough feels sticky. Grease a baking sheet with olive oil. 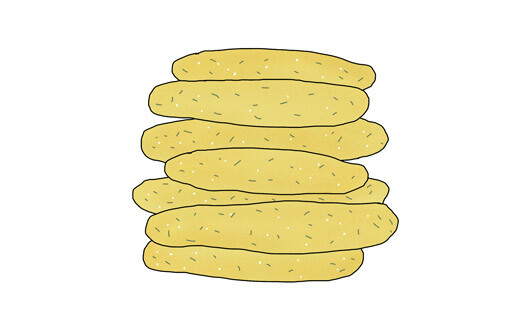 Place the long crackers on the sheet and bake at 350°F (175°C) for about 15 – 20 minutes until golden brown. Let the crackers cool completely (not stacked) on a flat surface. Store in airtight containers. My crackers never lasted that long, but according to Tenaya they store well up to a week. Tenaya will have some book signings (around Philadelphia) in December (2014).